"There was a silence on the tors that belonged to another age; an age that is past and vanished as though it has never been, an age when man did not exist, but pagan footsteps trod upon the hills. And there was a stillness in the air, and a stranger, older peace, that was not the peace of God." 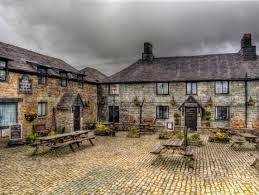 On the wild Bodmin Moors of Cornwall that have defeated man and where nature reigns triumphant, is an inn standing solitary against the ravaging winds and cold unforgiving days. 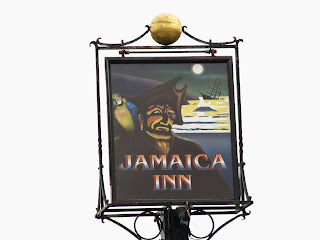 But it is solitary inn for no desperate traveller dares to visit, there are secrets and malice in Jamaica Inn and Mary Yellan is about to discover them. It is incredible that Daphne Du Maurier wrote this modern day classic when she was just 29, it's truly a masterpiece. Du Maurier is probably better known for writing Rebecca, but for me, her masterpiece is Jamaica Inn. It is a beautifully haunting and gothic modern classic. The imagery is so alive, I read this and weep, hoping that I could have but a slither of her writing talent. She's one of those authors who captures perfectly the things many writers wish they could convey but fail miserably. Du Maurier was an incredibly prolific writer both in fiction and non-fiction. I highly recommend The House on the Strand. 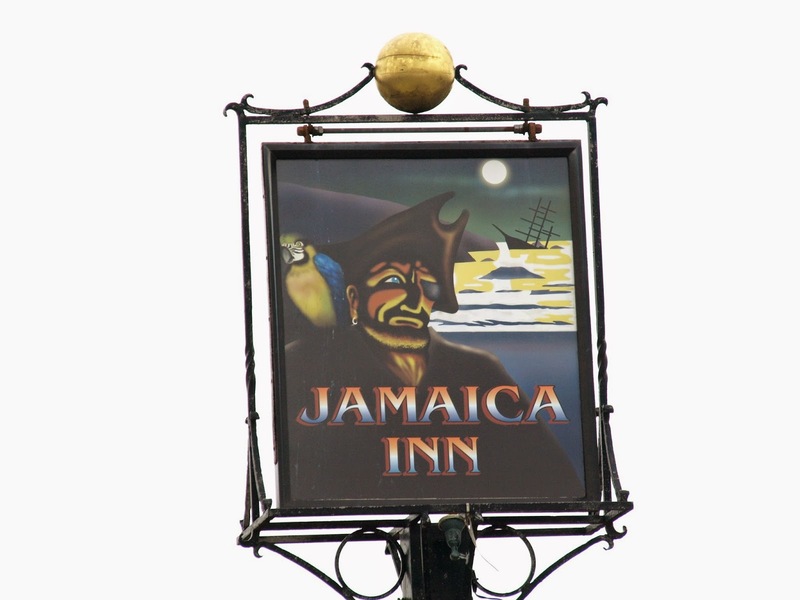 The story of Jamaica Inn revolves around Mary Yellan a young head strong girl that has fallen on hard times, but despite this she feels an overwhelming need to help her Aunt Pleasance,who in the last ten years has transformed from a lively viracious woman to a shell of a person. The cause of her downfall? Joss Merlyn. Mary Yellan is a great character, she's not fragile but wilful, the complete opposite to her Aunt. Even a brute such as Joss Merlyn respects her. Mary Yellan is not the typical damsel in distress. She's practical and tough. Joss Merlyn is a lot more than the 2dimensional simple brute he appears to be, he is physically powerful and respected within the circles in which he operates. However there is a strange child like vulnerability to him, his fearfulness suggests that there are worse rogues than him out there. Aunt Pleasance's method of survival is self denial, Joss's is drink. He drinks himself into stupors that last for days in which he retreats into childhood, but when he wakes he is afraid of the consequences of what he's done, not just from the law but of the people he has wronged. There is also a powerful message that women are always drawn to the types of men who they know are no good. It happened to Aunt Pleasance and Mary risks the same trap herself. It shows that once a woman falls in love there is nothing on earth that can break her resolve. What's interesting is how well the surrounding landscape influence the tone and feel of story. Jamaica Inn stands isolated against rough hard terrain as Mary stands isolated against her situation. She is free to roam the moors but she knows and the readers know that despite this, she is trapped. No matter which direction she takes there are far reaching consequences. You can easily feel her desperation and the loneliness she faces, her situation is dire; a young girl wasting away, like a princess stuck in a tower. She has no choice but to take friendships and opportunities as she finds them. Despite everything that she encounters it seems to me that her greatest fear is of turning into her Aunt Patience. It seems that her aunt was very similar to Mary in her youth, she had everything going for her but then she made some catastrophic choices that led her into her current life. This is what Mary fears worst to make a bad decision and be haunted forevermore by its consequences. For she does have a grave choice to make from the options available to her; she could escape and seek justice, she could get involved with Joss, or she could take a chance on Jem, except that didn't work out so well for her aunt. But the thrilling tension throughout is created from her having to make this choice. Neither seem smart, but a choice she must make.